The Boy Scouts of America have announced that they will be re-naming their older youth program to help make sure "all youth are welcome." Last year, the major scouting organization said that they would admit girls into their ranks and beginning in 2019, they will allow them to reach the rank of Eagle Scout. In a statement released Wednesday, the BSA explained that the name change was part of an overall recruitment campaign called "Scout Me In." The Boy Scouts explained that "Scout Me In" is the first recruitment campaign to feature girls in the promotional materials. "The Scout Me In campaign celebrates the BSA's expansion to serve families and welcome girls and boys into Scouting in communities across the country," stated the Boy Scouts. "It reinforces that the mission and core values in the Scout Oath and Scout Law are welcoming, inclusive and foundational for both young men and women." BSA Chief Scout Executive Michael Surbaugh explained the Wednesday press release that the name change to "Scouts BSA" will occur in Feb. 2019 and only apply to the Boy Scouts, not the Cub Scouts. The Boy Scouts serves middle school and high school students while the Cub Scouts serves elementary school students. "As we enter a new era for our organization, it is important that all youth can see themselves in Scouting in every way possible. That is why it is important that the name for our Scouting program for older youth remain consistent with the single name approach used for the Cub Scouts," Surbaugh said. In recent years, the Boy Scouts have sought to become a more inclusive organization. This has included ending their ban on openly gay scout leaders as well as allowing girls who self-identify as boys to join their ranks. These efforts have garnered backlash. 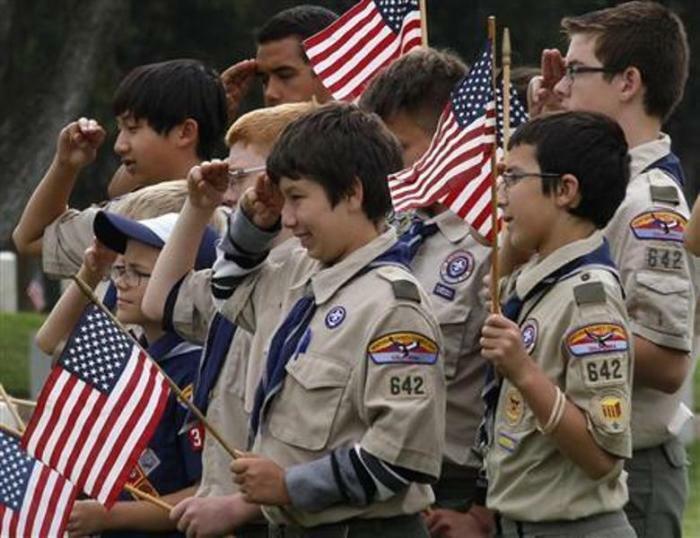 Even though churches that sponsor scout troops are exempted, some have opted to drop BSA over their objections to the changes to the national organization. In 2014, the scouting group Trail Life USA was created for those opposed to these measures, labeling themselves an "unapologetically biblical" alternative. Last October, the BSA announced that girls would be allowed to join their organization, a move that received criticism from many groups including the Girl Scouts of America. "The benefit of the single-gender environment has been well-documented by educators, scholars, other girl- and youth-serving organizations, and Girl Scouts and their families," stated the group last year.